Day 8: The Stormcloud — wise minds. big hearts. This weekend, a storm cloud started building in the periphery of my mood, so that when I wasn’t actively engaged with my day, I slipped into a sense heavy sense of foreboding about the week ahead. I had some work to do that I was anticipating would be overwhelming and difficult, and the closer I got to having the chance to do that work as the weekend came to a close, the more anxious I became. When I first started practicing mindfulness, I thought I could get to the point where I wouldn’t feel anxious anymore. Alas, while it would be so nice for it to be a magic fix, that’s just not how it works. The tightening of the throat and general sense of unease throughout my body are still very much a part of my experience. The only thing that has shifted, which is subtle, yet profound, is how I (sometimes) am able to meet that experience. Instead of escalating into a full blown panic attack, or pushing it away only to find it explode up at another point in the day, each time it arises, I note: Ah, anxiety. Something is wrong, my friend? What is it? Sometimes, there is a clear answer, and sometimes not. In either case, I invite in a deeper breath to wash over my nervous system, especially in those areas of the body where the tension is high, inviting some of the clenching to ease. In that way, I am meeting it as it arises, and allowing it to dissipate as it is ready, without whipping it up or struggling against. 1) Stress Ball: Take in a deep inhale to the belly, imagine all of the stress of the body being pulled deep into the belly. Hold the breath for a beat or two, allowing the tension to compact. Then, exhale strongly, and imagine the ball of tension leaving the body. 2) Ocean breath: Take a deep inhale into the belly, imagining water rushing over your system, then as you exhale, imagine the tide turning and taking with it the tension from your body. Even after a minute of theses breaths, I find more space and relaxation in my body so that I can more clearly see what my next steps may be. 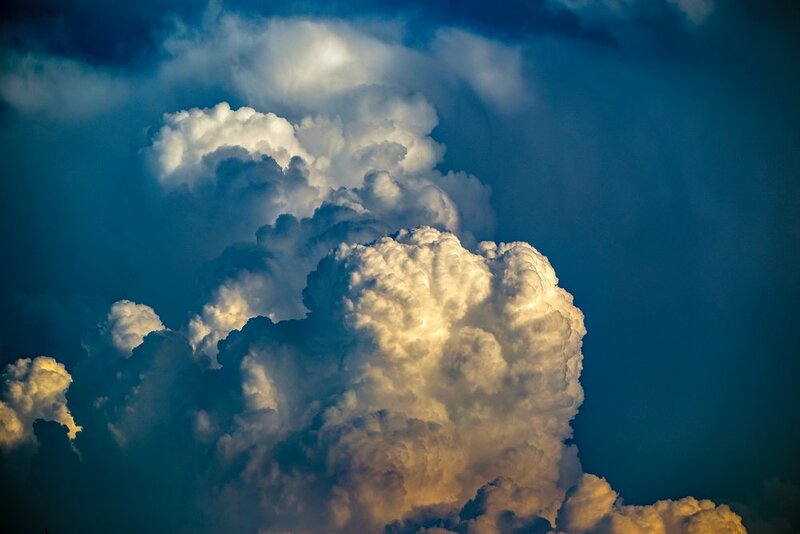 Today, I invite you to notice when the storm clouds are pushing into your consciousness, acknowledge they are there, and invite in some deep breaths to help sooth the system. May you find some ease and space.